Two Events You Won't Want to Miss! Registration is underway for the 2018 Common Good RVA conference: A Common Good for the Vulnerable. A common good that does no good for the vulnerable is neither common, nor good. Our morning will conclude with a panel discussion and Q&A moderated by Rachel Burgess, Vice President and Director of Research Operations at SIR. We'll meet on Saturday, March 3rd, 8:30am-1:30pm, at Union Presbyterian Seminary (3401 Brook Road). Tickets are $15 through February 5th; the price goes up to $20 beginning February 6th. Childcare is available for ages 2 and up for $10 per child, but you must register by February 5th to secure a spot. Childcare concludes at 12pm. Your conference registration fee includes a $5 voucher to be used for lunch at a local restaurant (Urban Farmhouse in Scott's Addition or Triple Crossing in Fulton) where we’ll have the chance to continue our conversations inspired by the morning’s discussion. 2. 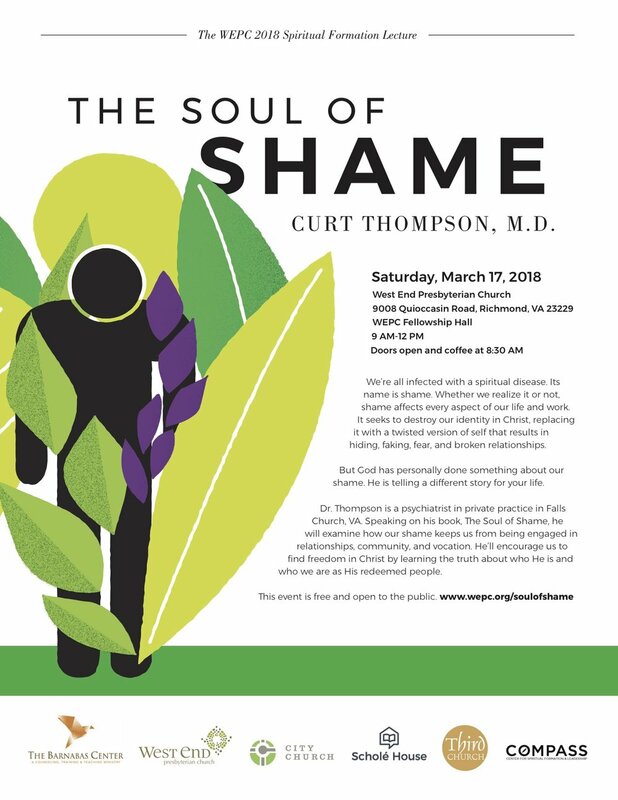 The Soul of Shame, with Curt Thompson, M.D.